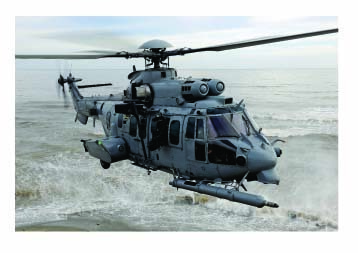 Airbus Helicopters and its partner Heli Invest Services welcomed the decision of the Polish Ministry of Defence to pre-select the H225M Caracal from Airbus Helicopters, which is fully committed to providing Poland with the best product and support for this long-term strategic programme. The company believes its offer will deeply strengthen the defence capabilities of Poland by creating the most value operationally, industrially and technologically. Airbus Helicopters is now preparing for the next steps of the tender process, cooperating during the test period to answer all requests and questions from the Polish Armed Forces, and further demonstrate that the H225M Caracal matches all criteria of the tender and their operational needs. Airbus Helicopters is a Division of Airbus Group. The company provides the most efficient Civil and Military Helicopter solutions to its customers who serve, protect, save lives and safely carry passengers in highly demanding environments. Flying more than 3 million flight hours per year, the company’s in-service fleet includes some 12,000 helicopters operated by above 3,000 customers in 152 countries. In line with the company’s new identity, fully integrated into the Airbus Group, Airbus Helicopters has renamed its product range, replacing the former “EC” designation with an “H”.